My first finished project of the year is a dress a client found on another website that she would have bought there but they don't have her size in stock and haven't for quite a while. I got inspired by the works of Poe and made her up this dress. Full skirt, with my cute little model posing. The Poe fabric is Micheal Miller and I paired it with a polished cotton. My friend Crystal over at Ginger Dimples figured I was wasting several hours a day sleeping so she talked up this home sewing knock off of Project Runway, Project Run and Play. Basically they have people with blogs compete to make outfits that fit a certain criteria. The home sewists get weeks instead of hours to make their looks but it's all in good fun. I am not an official competitor, I am simply participating for fun. The first week's theme is Winter Wonderland. In the Mojave desert we have to make our own winter magic as the weather rarely ever cooperates in that department. I really wanted to use the McCalls 5742, despite owning multiple copies of it and two in the right size I could only locate the wrong size pattern, even though I have the envelope for the right size. I ended up altering the McCalls 5793 to look like the other. I've had this fabric in my stash for nearly 3 years just waiting for the perfect project, and this was it! I added gems to the fabric to give it sparkle. She wore it to church and hated every one telling her how pretty she is, she'd rather just play in the dirt! Someone at church had mentioned a while back that poor Jack-Jack didn't have any hand made dresses like the other 3, well now she does! Measurements are the responsibility of the customer. Accurate measurements are difficult to be taken by yourself. Tailors and alteration specialists can take measurements if you do not have someone to assist you. Tape measures can be purchased at sewing/craft stores such as JoAnn’s, Hobby Lobby, and Michael’s. They can also be purchased at WalMart and Target. 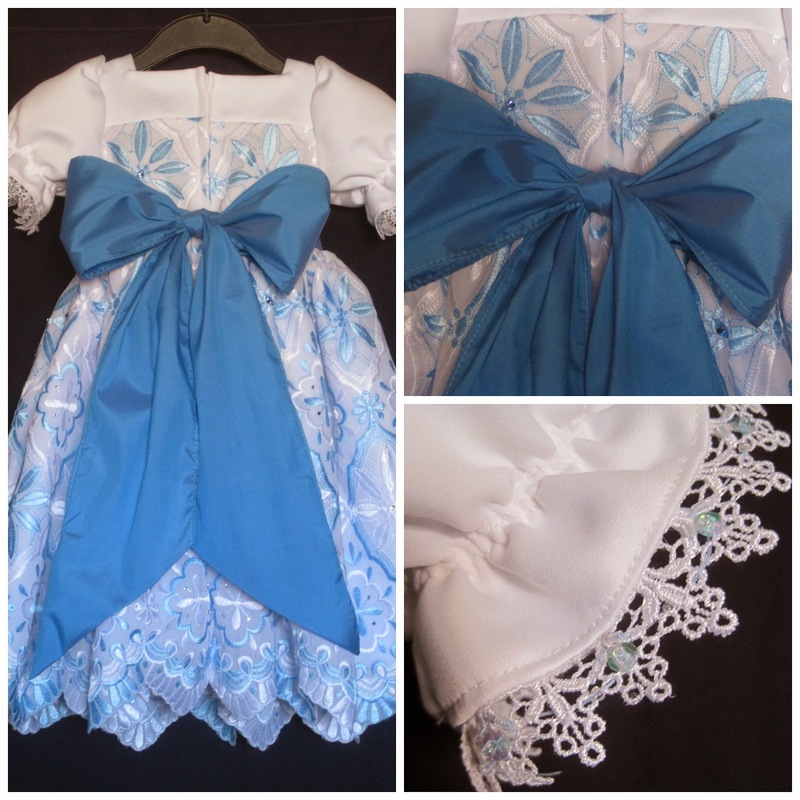 Customers are welcome to provide their own fabrics and materials to be used on costumes. 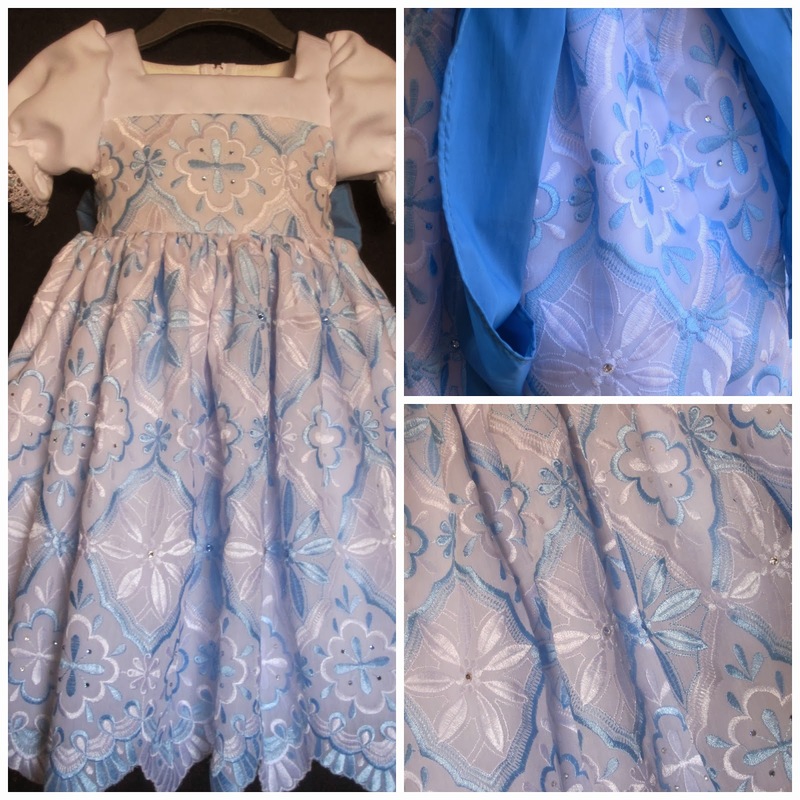 All customer provided fabrics should be approved by Once Upon A Costume before being sent for use in costumes. Non pre-approved fabrics will only be used if they meet the needs of the costume. Non pre-approved fabrics that do not meet the needs of the costume will be returned in whole along with the finished costume made from alternate fabrics. All fabrics provided by the customer that were in excess will be returned. Fabric requirements for any costume piece can be given upon request. Customer supplied fabrics MUST arrive no later than 3 weeks before the assigned ship date. If fabrics are not received in a timely manner and other arrangements have not been approved by Once Upon A Costume the assigned ship date will be canceled and a new date will be assigned. A $150 deposit is required to hold a ship date. If for any reason your order needs to be cancelled $50 is non refundable. I will send an email letting you know when I start to cut the fabric for your order, at that time the entire deposit is non refundable. Deposits are accepted through Paypal. If you need other arrangements please email me. Payment arrangements are made at my discretion. A deposit being paid is the customer agreeing to all policies and procedures. The final payment is due before shipment of the order. I will send pictures of your completed order. At that time if I have made any mistakes concerning items detailed in email, alterations will be made. If the customer requests additional changes at that time the ship date may be changed due to the alterations desired. Once the final payment has been received through Paypal the costume will shipped. The final payment is the customer’s approval of the finished costume. Any questions or alterations need to be made before the final payment is received. Shipping dates are assigned on a first come, first served basis. Shipping dates are not guaranteed until the deposit is received. If you need an order by a certain date please email me to ensure the order can be delivered in time. Parcel Post with tracking. Shipping will generally take 7-10 days. Priority Post with tracking and an automatic $50 insurance. Shipping will generally take 2-3 days. Express/Overnight shipping with tracking and an automatic $50 insurance. This is the ONLY option that will have a package arrive by a guaranteed date. Insurance for the full value of the package is available for an additional fee. Fees are determined by the value of the package. International shipping is available. Shipping costs and customs/duties will vary by value and destination. Nevada residents will be charged 8.1% sales tax. These dresses are custom made for the individual and returns will be evaluated on an individual basis. I've done my best to represent my product fully. If there are any questions you need answered please ask before placing an order. I am not responsible for errors in measurements given to me, measurements are the responsibility of the customer. Any fitting problems that are my mistake will be corrected free of charge. I will work with you to the best of my ability to ensure your purchase is exactly what you want. All items originate from a smoke free home and pet free environment. Great care is taken in creating, packaging and shipping each order. Do keep in mind these dresses are made by hand in a home with small children, sometimes life intervenes and must be taken care of before business. If an occasion arises that a dress is off schedule I will do my best to keep you informed and if necessary to meet a deadline a package will be shipped overnight/express at my expense. Dresses are made available as a whole. 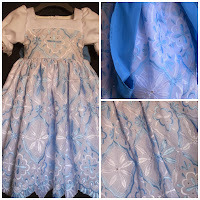 Dresses are not available in part except to previous customers who need replacement pieces.